The Amish do not have commercial insurance. 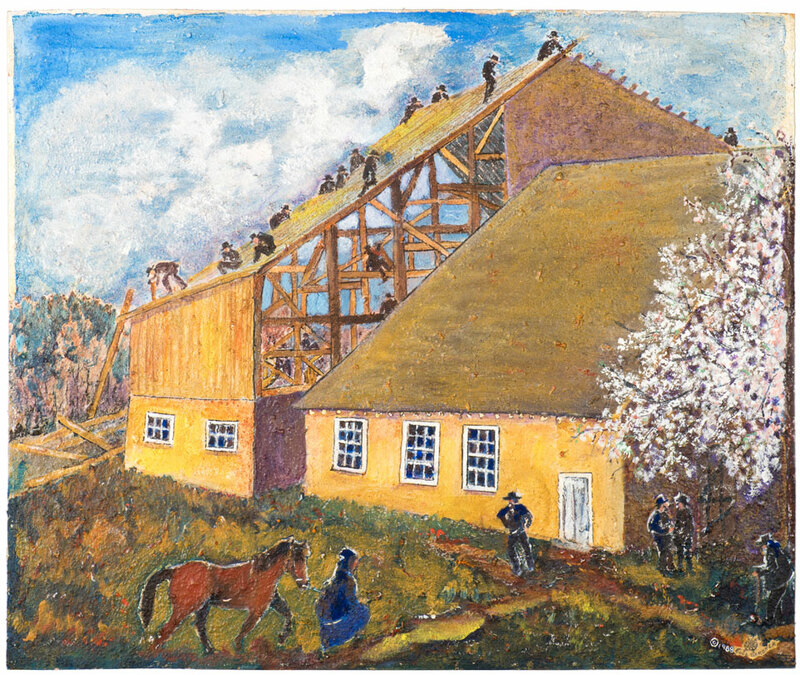 A barn raising is a good example of their insurance plan at work; they help each other through hardship and disaster. These get-togethers are also social events; they are provided with a chance to help when needed, as well as furnishing them with a break from routine and a chance to visit. The woman, too, have an opportunity to visit as they congregate to prepare and serve the food.